Tony Russo, The celebrated jazz and adult Contempoary singer known for his unique sound and earnest style. If your a fan of The Rat Pac era and today’s music than you will fall in love with Tony’s new album Somewhere There’s A Someone. Tony Russo sings in away that can never be touch. “Return To Me” would make anyone come back. Love just keeps flowing through this guy in the form of song. 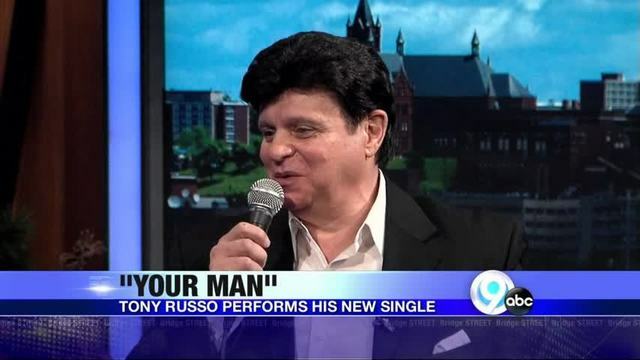 Pitching more than just a gifted voice, Russo creates a listening experience with personal touches to familiar melodies and a personality within his voice that speaks directly to each listener. Somewhere There’s A Someone is a eight- track feature a montage of Swing and Ballads performed with timeless style. Previous [Single] Outlandish – UP!